Patric Young is looking to make his return with Sidigas Avellino. 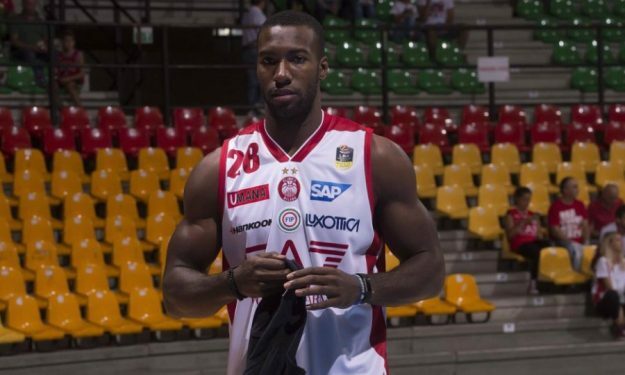 Patric Young and Sidigas Avellino reached an agreement, and the player will arrive at the city tomorrow (7/12) for the medical tests, the club announced. The 26-year-old is awaiting his return to action for the first time since June 2017 when he played in the Greek League Finals as a player of Olympiacos. Young signed with Olimpia Milano at the start of the last season but continuous knee problems kept him sidelined and the sides parted ways in February, without him playing a single game. Partizan Belgrade has reportedly been interested in Young as well but the ‘Big Man’ chose the Italian team.